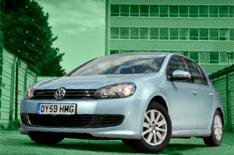 VW aims to be eco-leader by 2018 | What Car? Volkswagen is investing 80 million to establish an e-mobility campus at its headquarters in Wolfsburg, Germany. More than 1000 'researchers and other staff' will be employed there to develop electronic transport solutions for the future. Audi has a similar facility with 140 employees at Ingolstadt in southern Germany, as part of the VW Group's effors to become 'the global economic and environmental leader' in the motor industry by 2018. 'A new technology era is dawning and we must make new drive systems ready for production,' CEO Dr Martin Winterkorn told the group's annual media and investor conference. VW and its associated companies are looking at three avenues to help lower the average CO2 of its range by 15% on top of the similar reduction they have achieved in the past five years. 'Intelligent lightweight construction', including greater use of aluminium and carbonfibre, will be deployed alongside more efficient petrol and diesel engines and greater electrification of drivetrains hybrid and full electric vehicles. The group has or soon will have five hybrids based on the VW Touareg, Golf and Jetta and Audi Q5 and A8 models while full electrification will be applied to the Golf and the Up, the new small city car VW will reveal later this year. The new modular platform strategy the group is developing will eventually allow any drivetrain to be used in any vehicle, Winterkorn revealed. 'E-mobility will play a larger role, especially in Europe and China,' said VW sales and marketing chief Dr Christian Klingler. 'The price of the vehicle and the battery determines the price of an electric car, and we are considering a lot of options on sale and leasing, but our cars must be affordable.